Chic Memphis: Coffee and Conversation: Misunderstood Millennials. 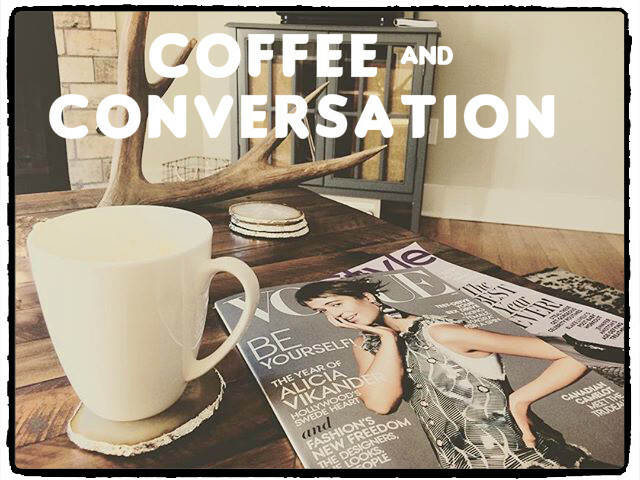 Coffee and Conversation: Misunderstood Millennials. Millennials are not lazy. We aren't rude. We're plugged in. We're not entitled. We're dreamers. Those two things are different. And yes, I am making a sweeping generalization about a generation of people, and I understand there are always exceptions. Millennials are a misunderstood generation, but then again, I think every generation goes through that image crisis. Millennials are lazy. I'd argue to the contrary. Millennials are tech savvy and have found many ways to engineer shortcuts and workarounds (or #lifehacks, as it were) to create extra time to do things that we want to do. That might include watching Netflix and give the appearance of laziness, but the Millennial has mastered the multitask. And no, older generations, that does not necessarily yield a crappier work product. Millennials are entitled. If that is true, then it is a direct byproduct of our upbringing. If having parents tell you that you can go to college and be whatever you want to be makes you entitled, then so be it. There shouldn't be generation-shame because Millennials are pickier about the jobs we choose or the work life balance to which we feel entitled. There's no joy in the struggle if the struggle is for appearances only. Millennials are job hoppers. Because I was in school until I was 25, I don't have a large job history from which to draw (and most Millennials share that quality). I have spent three years with the same company and enjoyed three distinct roles while there. I have moved from Human Resources to Internal Audit to Real Estate Legal. Whereas old school recruiters and employees might think pick a lane already, I'd argue that a diverse array of experiences is a great way to learn business, tap into unknown skills and interests and grow in appreciation for the other side of the fence. Millennials are rude. I joke about it all the time, but there are many nights when Lucas and I are in the same room staring at iPads. Of course we get out of the house. Of course we go enjoy nature. Of course we exercise. But instead of television or sitting around a record player, we live in a time when a device has been created that enables you to do any and all of that. You might see Millennial parents giving their children an iPad at a restaurant. You might see Millennials walking and texting at the same time. While I cannot tell someone else what they do or do not perceive as rudeness, I can suggest that the ability to stay plugged in and communicate is the stronger motivation for our love affairs with technology than our desire to be rude. Millennials don't start relationships organically anymore. Oh, stop it. I get it. We are all most fond of how life was when we were growing up and falling in love. Those are the memories that we hold closest. Maybe a handwritten love letter has gone out the window, but that is okay! Often, nostalgia is confused for romance. Romance can evolve with people. Millennials don't vote. I don't know. Maybe we don't. Maybe we won't this time either. And I know that runs afoul of civic pride, but voting is a right and neither an obligation nor mandatory. It's fine to persuade us to vote. It is fine to educate us on why voting matters. (Remember the "Vote or Die" thing?) Many measures are taken to inspire young people to vote, but a lot of Millennials are demoralized or conflicted about politics. Don't mistake that for being disengaged and don't discount the folks who use silence as a tactic because their conscience will not let them cast a vote for someone who offends their sensibilities. Calm down, I am voting. The fact of the matter is that, like all generations, Millennials will become the most influential by virtue of dominating the workforce. Millennial habits and love for technology will infiltrate all areas. By no means are Millennials perfect. No generation is. But we offer a lot to an often stagnant work life. We long to contribute and just ask for recognition (usually validation) that we are doing a good job. It may not look like we are capable of "putting our heads down and working," but that's because we can work under an array of conditions and through an array of distractions. Don't dismiss a Millennial, or we just might subtweet you.